“I’m trying to lose weight by running, but I’m not sure how many calories I need to burn through running. 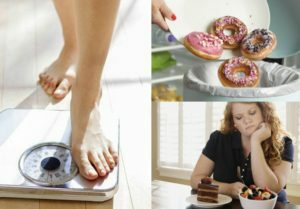 How many calories does it take to lose a pound?” To lose a pound, you have to burn, through exercise or life functions, about 3500 calories. Running can help you lose weight, but it’s not a magic bullet. A safe, healthy weight loss rate is about one to two pounds per week. If your weight loss is faster than that, you may be losing muscle mass in addition to fat. To average one pound lost per week, you need to burn an additional 500 calories per day. If you’re running for weight loss, that means you would need to average about 5 miles per day, since the average runner burns about 100 calories per mile. If you don’t have the time or energy to burn the 500 calories a day by running or doing other exercise, you could use a combination of calorie reduction and exercise. For example, if you ran 3 miles (approximately 300 calories burned) every day, you would also need to reduce your recommended calorie intake by 200 calories each day. The combination of the calorie intake reduction and the calories burned would create your 500 calories/day deficit. Of course, it’s important to figure out how many calories you need each day, since the USDA 2000 calorie diet is only a recommendation. If you’re looking for ways to increase your calorie burn, try adding strength training and speedwork to your workout routine. One of the many benefits of strength-training is that building more muscle mass will increase your calorie burn, both when you’re working out and when you’re resting. You don’t need to do lots of heavy lifting to get the benefits of strength-training. Try doing some simple exercises such as these core exercises or lower body moves a couple times a week. Running faster can also help you jumpstart your weight loss efforts by increasing your calorie burn. Try some of these speed workouts for the track or these workouts for the treadmill. If you’re not ready for speed workouts, focus on finishing your runs at a faster pace or running faster for short intervals during your run. Run hard for 30 seconds and then slow it down for a couple of minutes, and try to do that a few times during your run. Remember not to get too focused on the number on the scale. Try to pay attention to how you’re feeling overall, and use measurements other than weight, such as inches lost or how your clothes fit, to mark your progress. You can also track your running progress by racing new distances, increasing your weekly mileage, and trying to improve your race times. « Why Aren’t You Walking?